There are many fantastic and interesting inventions out there, with new ones happening every day. (Even paper chips!). One that really caught my eye is a remarkable idea for a health bar – a crayon. Luxirare (a combination of Rare and Luxury) is a weekly, elegant, webzine that focuses on portraying the beauty of fashion and food. The webzine concentrates on one item at a time and spends a lot of time towards executing the creation and presentation of that item. In this case, Luxirare has created crayon health bars, and captured the attention of many. Luxirare created the crayons out of colorful foods, all listed on the back of the box, and many of the ingredients are very healthy and an appealing change from normal fruits and vegetables. The yellow crayon, for instance, includes processed corn, nuts, yellow Fruity Pebbles, dried bananas and bee pollen (which is super healthy). Luxirare separated many different types of foods in small containers and captured the creation process and end result in many striking photos. 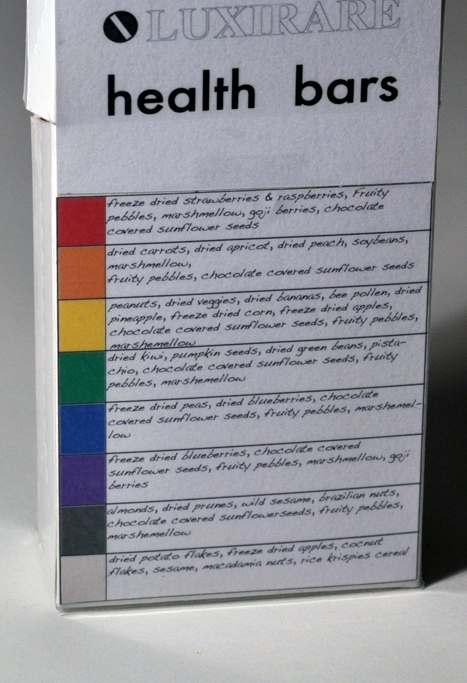 With a flavor based on color, not ingredients, the crayon health bars are perhaps more appetizing to look at as they are now. Luxirare states that “you can use whatever you want, even prunes, these are all a mixture of nuts, seeds, dried veggies, fruits, and anything that is healthy.” The purple and blue crayons turned out to be the least healthy because they included more candy and sugar than the other crayons. Also, the purple used freeze dried blueberries, while the blue used dried blueberries. Luxirare adds that the dried blueberries provide a more chewy texture than freeze dried. The brown color includes almonds, black sesame, dried prunes and chocolate covered sunflower seeds while the red included freeze dried strawberries and raspberries, and goji berries. All crayons included Fruity Pebbles, marshmallow and chocolate covered sunflower seeds, molded into crayon molds, and not baked in an oven. 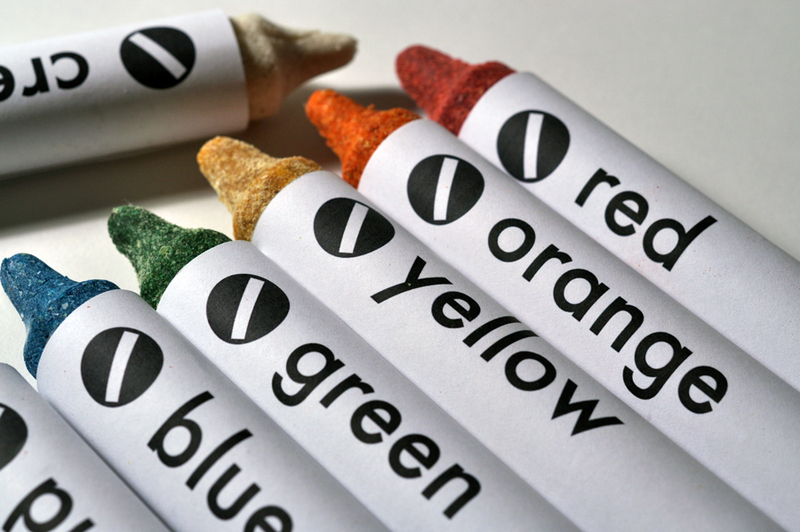 The red, orange, yellow, green, blue, purple, brown, and cream crayons are packaged in a white crayon box and truly draw! 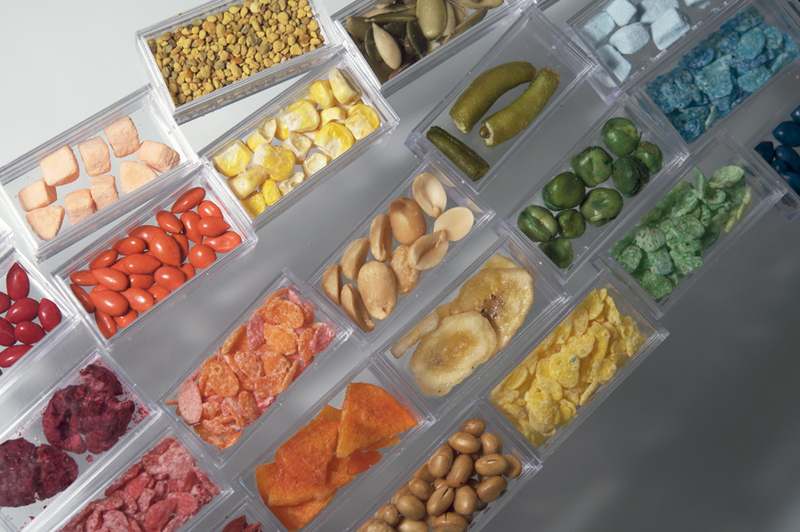 Luxirare provides tips along the way like that you’ll gain the most nutrients out of dried or freeze dried vegetables and fruits, instead of cooked ones. Adding fruity pebbles sweetens them without adding sugar, and adding melted marshmallow creates an easily moldable consistency (although you would still be adding sugar). The work put into this post and all the posts on the Luxirare webzine are truly something to be appreciated. The health bars are not for sale, but are a fun idea for trying at home! Try blending your own ingredients into a mold and seeing what you can come up with to create a fully customizable health bar. This is certainly an appealing format for health food although the coloring in the orange, green and blue crayons doesn’t look all that natural. If only the packaging had a tad bit more coloring, one might be drawn to look at what was inside.